Gulp! Yes, forgiveness in any form can be a hard pill to swallow. But, let me ask you this. 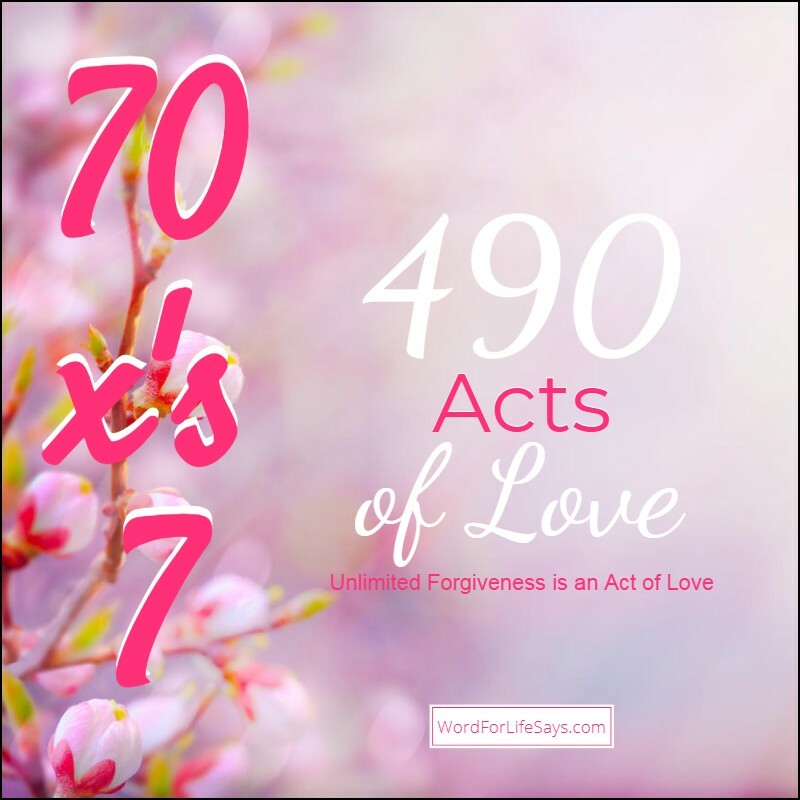 How many times has God ever said no to us whenever we sought healing and restoration for the wrongs we have done? Exactly, He hasn’t! How often have we withheld those three precious gifts from another because our feelings were hurt? Believe it or not, it’s the same thing. We may not have choked out a man, demanding retribution, but if we are withholding the same mercies that God showed us then we are choking that man or woman spiritually and emotionally. “But if ye forgive not men their trespasses, neither will your Father forgive your trespasses,” (Matthew 6:15). God will not allow us to act like that unjust servant. Love has compelled Him to shower us with love, at all cost to save us, just so that He could forgive us and restore us. “For God so loved the world, that he gave his only begotten Son, that whosoever believeth in him should not perish, but have everlasting life,” (John 3:16). 490, of course, is not a definite number. It’s a symbol that we are to be unlimited in our willingness to forgive the offence of others against us. It is the same love; the same “Act of Love” that God showed us. We have been loved to the point of forgiveness and we called to love in the same way. The Bible tells us, “But God commendeth his love toward us, in that, while we were yet sinners, Christ died for us,” (Romans 5:8, KJV). I guarantee, if we were to look at ourselves, we could not fathom how many times our accounts would have gone unpaid had it not been for the blood of Christ. More than 490 times? But, thank God, He acted in love to save to us!